7. The Earth. The Earth. The Earth is on fire! If the supervolcano underneath Yellowstone National Park decided to blow again (yes, there's one just hanging out there), it would spew ash for thousands of miles across the U.S., damaging buildings, smothering crops, and shutting down power plants. Supervolcanoes are any volcanoes capable of producing eruptions with an ejecta volume greater than 240 cubic miles. If this doesn’t scare you, it should. 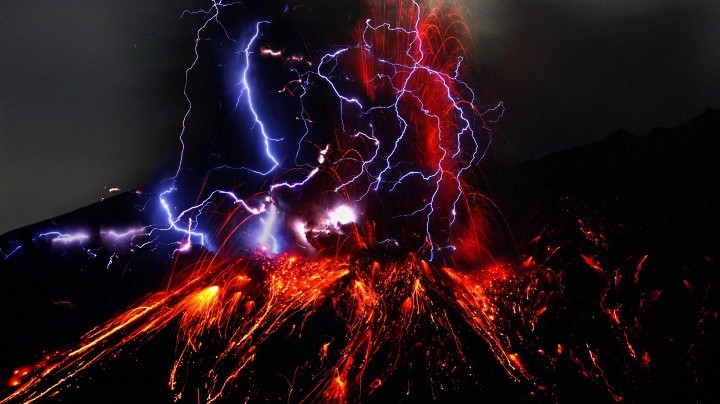 Geologists have found evidence of at least 47 super-eruptions in Earth’s history. The Toba eruption 74,000 years ago caused a shifting of the plates and triggered a six-to-ten year global winter. Stock up on extra dust masks, goggles, non-perishable food to last basically the rest of your life, first aid, radios, blankets, tarps, and cash. ATMs will be completely useless. On that note, cash probably will be, too.